One of the most pressing questions driving scientists is how did our universe begin. Gravitational lensing and computer simulations are teaching researchers more about the foundations of our galactic home. So much of our universe is known to us, but there is so much more we don’t know – yet. For example, normal matter that is easily observable (such as gas and rocks) makes up only four percent of the known mass-energy in the universe, according to the Canada-France Hawaii Lensing Survey (CFHTLenS). The other 96 percent is dark matter and energy. These two components are critical to science’s understanding of how the galaxy was formed, but there’s one problem: A combination of dark matter and energy can only be observed by how it affects the four percent of the universe scientists can measure. Telescopes don't help much in observing these galactic effects, and this creates a challenge for scholars. One research project seeks to bring science one step closer to solving this cosmic mystery. Rachel Mandelbaum, with the help of advanced computing assets at Carnegie Mellon University, uses generative adversarial networks (GANs) to simulate galaxies warped by gravitational lensing. Spinning up 3,840 computing cores in the Nvidia Titan X Pascal GPU at the McWilliams Center for Cosmology, her team trained the GANs on 16,000 images in just about an hour. 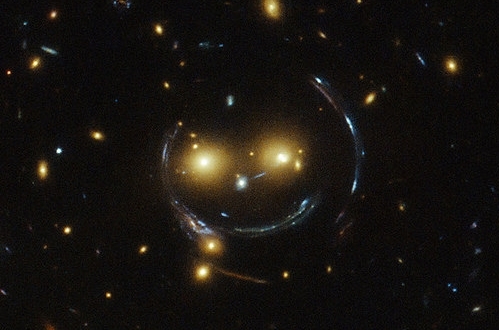 Gravitational lensing is a process by which mass bends light, an effect predicted by Albert Einstein’s theory of general relativity. The larger an object, the greater its gravitational field will be, and the greater its ability to bend light rays. 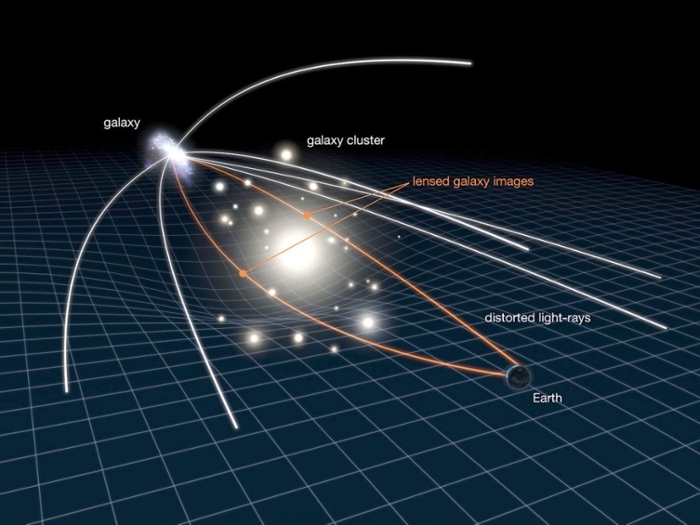 Because light bending is sensitive to the strength of the gravitational field it goes through, observing the lensing effect can be used to measure dark matter. There are several difficulties with observing rays of light, however. According to Mandelbaum’s research, detector imperfections, telescopic blurring and distortion, atmospheric effects, and noise can all affect the quality of the data, making research challenging for scientists. Unlike GANs, a traditional neural network, for example, will detect the difference between different images, but only if these images have been tagged by people and include descriptions. Eventually, the artificial intelligence will learn to distinguish images by itself, but only after it first sorts through images manually one-by-one. GANs save resources compared to other neural networks because fewer people are needed to operate them and because a GAN does not include a tagging and descriptor process. An image generator produces fake and real images on its own, without outside help, and the network will eventually learn to tell the difference between the two. Mandelbaum’s research has wide implications in astronomy, as it can serve as a useful starting point for astronomical image analysis when telescopic problems and other issues create obstacles for scientists. Astrophysicist Peter Nugent at the Computational Research Division of Lawrence Berkeley National Laboratory and his colleagues have researched a gravitationally lensed supernova using computer simulations, which will shed light on how matter is distributed throughout the galaxy. Discovering new ways to explore the unknown universe is just one of the many possibilities computational science offers. To learn more about gravitational lensing, visit the CFHTLenS website or check out Mandelbaum’s research paper.